This 64 plate is basically a brand new bike, not even run in yet (336 miles), and lowered - making it ideal for a new/short rider. 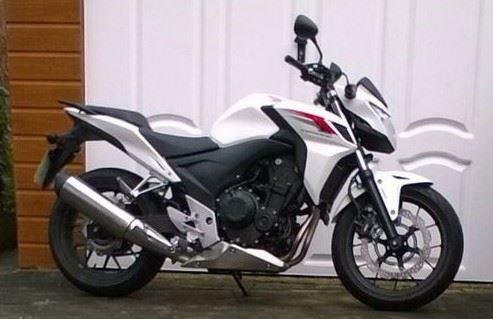 The CB500 was reintroduced in 2013 as an A2-licence friendly novice bike and everything about it works. The ergonomics are sound, the engine strong without been overwhelming for new riders, and it handles well enough to have a bit of fun.